What if criminals had insurance to pay for anything from attorney bribes to audacious prison escapes? 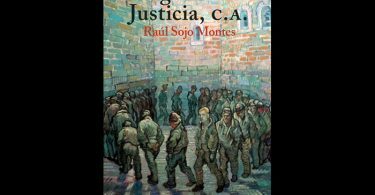 That premise was the starting point of up-and-coming author Raul Sojo Montes to explore, halfway between humor and drama, the vices of the Venezuelan justice system. Right in the middle of the current crisis in Venezuela, Oscar Todtmann editors launch the first novel by Raúl Sojo Montes. 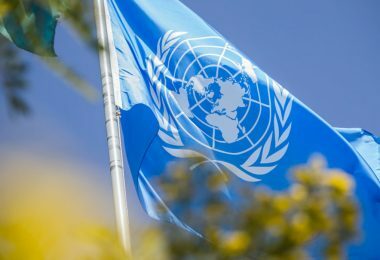 Venezuelan literature in recent years has approached the evolution of the country in what has come to be known as the 5th Republic from many different angles. Today, when the country is shaken by protests marked by the death of young protesters, this novel emerges to question the Venezuelan justice system with a tint of humor and irony. 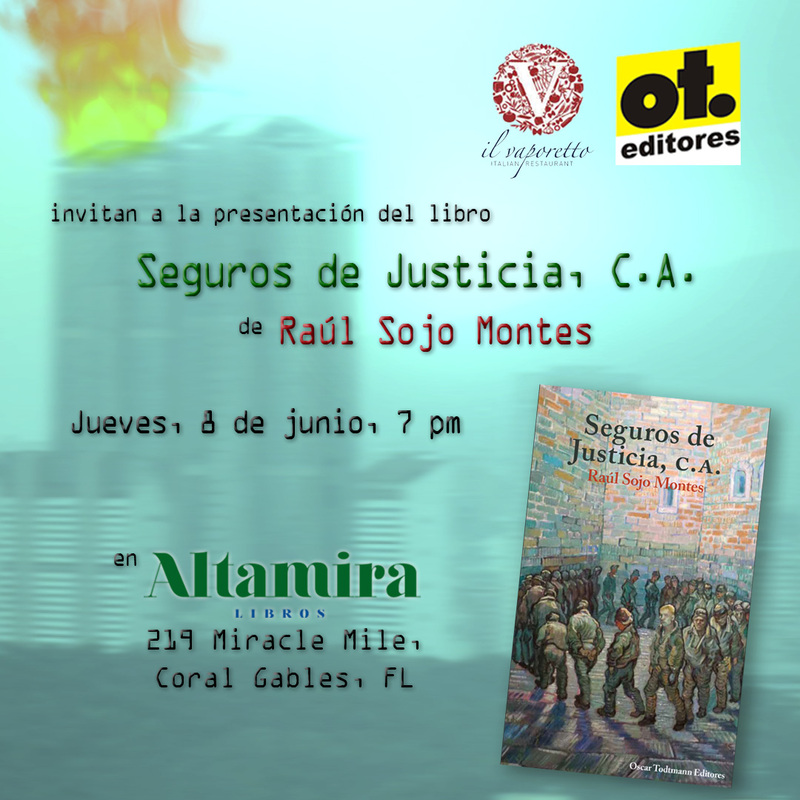 Seguros de Justicia, C. A. will be presented in the Altamira Libros bookstore in Coral Gables, Miami, on Thursday June 8, at 7 pm. The event will be attended by the journalists Tamoa Calzadilla and Marcos Salas, and, representing the publishing house, the writer Kira Kariakin. Rogelio, the main character, was tired of struggling to make ends meet, and decided to participate in a fraudulent import scheme using government-subsidized dollars. To his bad luck, he will be used to make a show of corruption enforcement, at a time when the revolutionary government is suffering from bad numbers in the polls. From that moment on, his life will be in the hands of Pulgarcito, CEO of Justice Insurance, Inc; sharing his woes with his friend Arjona, a prisoner awaiting trial; and protected by the prison boss (“pran”, in the Venezuelan prison slang) Tocuyo, the criminal leader of the prisoners in the La Planta prison, in Caracas. 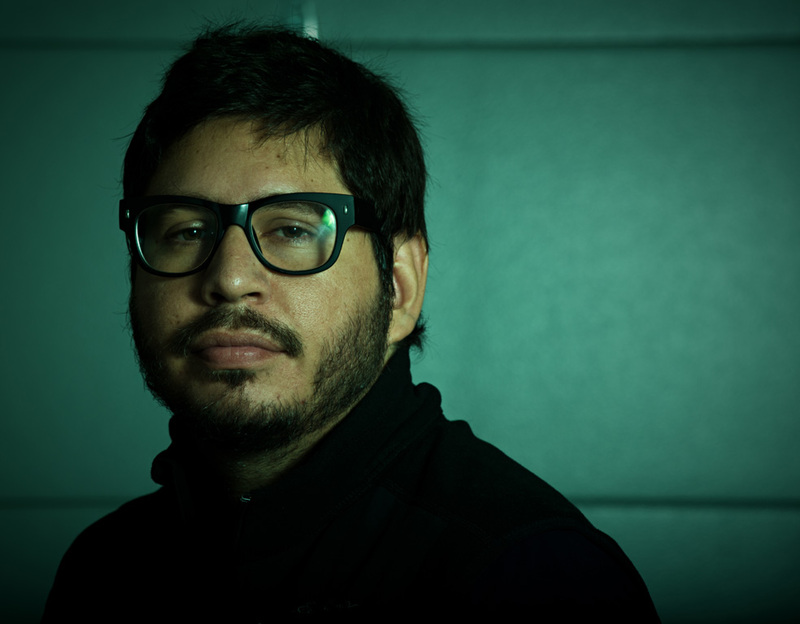 Raúl Sojo Montes, journalist, was born in Caracas on January 22, 1980. He studied high school in the San Ignacio de Loyola school, and he obtained his bachelor’s degree as part of the first promotion of the Universidad Santa María. A film enthusiast, he has done remarkable work as a photographer and as an audiovisual creator. In this, his first editorial undertaking, Sojo Montes puts the camera aside to bring us the images in the shape of words. Twitter: @sojon, Instagram: @sojomontes. Altamira Libros is at 219 Miracle Mile, Coral Gables, FL 33134, USA. Business hours: 10AM–10PM. Telephone: +1 786-534-8433. Twitter @AltamiraLibros. Oscar Todtmann Editores was founded in 1973 by its lifelong director, Carsten Todtmann, experienced publisher and photographer. 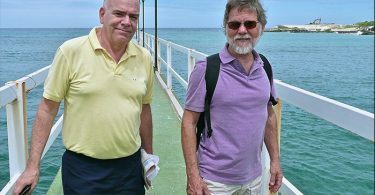 Since 1994, he has jointly run the company with Luna Benítez, a journalist and cultural manager, a partnership that has brought prominence and uniqueness to their effort in Venezuela. The company has published over one hundred titles in a wide range of topics in its various collections and formats. Highly influential photography books; scientific, ecologic and environmental works; a well as literature, poetry, philosophy and essay have been published by Oscar Todtmann. The quality of its products has earned it numerous awards and accolades from national and international institutions. Its collection Hoy la noche será negra y blanca (This will be a long and white night) features Contemporary Venezuelan fiction, essay and philosophy. 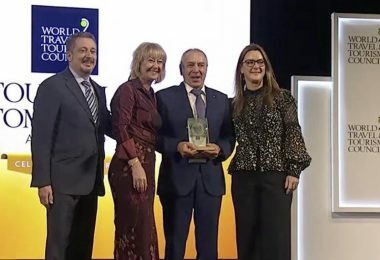 Its recent titles include: La otra isla by Francisco Suniaga, with thirteen editions, translated into French and German; La otra cara by Manuel Acedo Sucre; Demencia by José Miguel Roig; 200 breves by Karl Krispin, Duelo by Albor Rodríguez, Vidas de perros by Mirco Ferri, El reino de arena by Andrés Volpe and El espejo Siamés by Ben Ami Fihman. The collection O. T. Poesía was launched in late 2014 with three titles: En medio del blanco by Kira Kariakin; Limones en almíbar by Jacqueline Goldberg; and 102 Poetas Jamming, a compilation featuring a hundred authors who have participated in the Poetry Jams of the Ateneo in Caracas. This year, with the publication of 5 new poetry books, the collection will reach 18 titles. The collection has allowed emerging poets to promote their work. The collection Imagen de Venezuela gathers books with photography by Karl Wiedmann, Carsten Todtmann, Paolo Gasparini, Gorka Dorronsoro, Guido Schmidtke, and the architect Dirk Bornhorst. Its titles include Santiago de León de Caracas; Venezuela; Fascinante Venezuela; Todos marchan; Canaima y Gran Sabana, paraíso teukinan. The pictures are accompanied with essays by renown writers such as Aquiles Nazoa, José Manuel Briceño Guerrero, Otto Huber, Alberto Barrera Tyszka, Luna Benítez, Alejandro Reig, Manuel Pérez Vila, José Ignacio Cabrujas, Fernando Cervigón, Alfredo Chacón, among others. Likewise, OT editores, has made a name for the design proposals of Álvaro Sotillo, Carlos Rodríguez, Paola Tábora, Peter Wezel, Pascual Estrada and Pedro Quintero. You can find more information on Oscar Todtmann editores in twitter: @oteditores, and in Facebook: https://www.facebook.com/OscarTodtmannEditores or write to oteditores@gmail.com, oteditoresprensa@gmail.com. 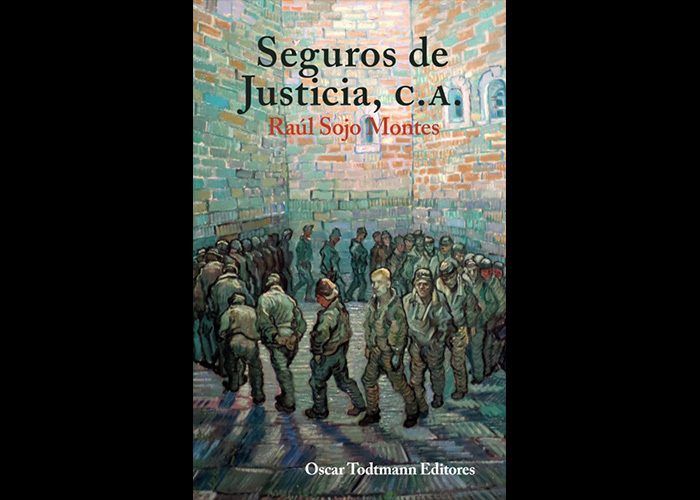 Seguros de Justicia, C.A is sold at Altamira Libros in Coral Gables, Miami, and in major bookstores in Venezuela. The kindle version and the pocketbook edition can be found in Amazon.